Rebeca Gonzalez grew up eating artichokes from her grandmother’s farm in the central Mexican state of Tlaxcala. But for years after emigrating to the U.S., she did not feed them to her own kids because the spiky, fibrous vegetables were too expensive on this side of the border. When she prepared meals at her family’s home in Garden Grove, Calif., Gonzalez would also omit avocados, a staple of Mexican cuisine that is often costly here. “I saw the prices and I said, ‘No, never mind,’” said Gonzalez, a 47-year-old child care worker who receives about $500 a month in food stamps. But those items are no longer out of reach for her family. 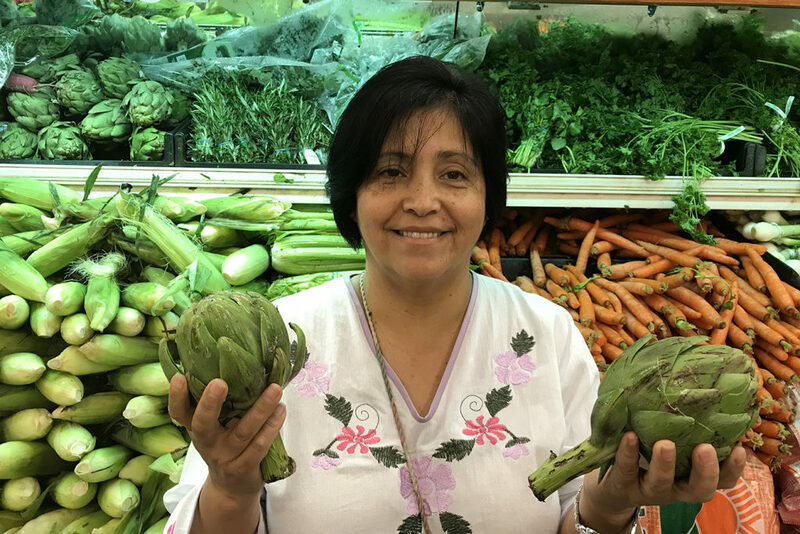 Since enrolling last year in a program that rewards food stamp beneficiaries for buying more fresh produce, Gonzalez has regularly filled her shopping cart with the fruits and vegetables of her childhood — not only avocados and artichokes, but pomegranates, various types of squash and more. The University of California-San Diego is administering Más Fresco and studying its results with a $3.4 million grant from the U.S. Department of Agriculture, which has funded similar efforts in other states, including Illinois, Georgia, Pennsylvania, Minnesota and New Mexico. The dollars invested in those states have been aimed at inducing food stamp recipients to buy more produce at farmers markets or at mobile markets that visit low-income neighborhoods. Más Fresco is open to Southern Californians in Los Angeles, Orange and San Diego counties who are enrolled in the Supplemental Nutrition Assistance Program, or SNAP — the official name for food stamp benefits. The goal of the four-year program, like that of its counterparts in other states, is to improve diets and overall health by making fresh produce more affordable. 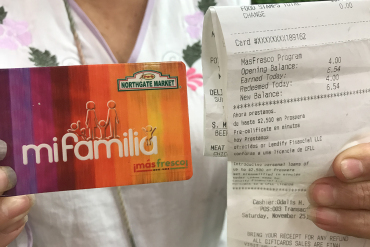 Since Más Fresco began in February 2017, it has enrolled 1,153 participants, who receive an average of $329 a month in food stamps and typically live in households of five or six people. 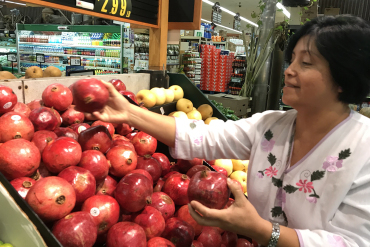 Ninety percent of them are Latinos, but adults from any ethnic background can join provided they are willing to shop at a participating Northgate González Market – an Anaheim, Calif.-based Latino grocery chain that is Más Fresco’s retail partner. For every dollar worth of food stamps enrollees spend on fresh produce in a given month, they receive a one-to-one match, up to $10, $20 or $40, which they can spend only on more fruits and vegetables. The UC-San Diego researchers who are studying the program varied the maximum reward amounts and assigned them randomly to participants to help determine the optimal dollar level for changing people’s dietary habits. The six participating Northgate stores — two in each of the three participating counties — use loyalty cards to tally produce purchases and distribute the credits. The amount of credit participants have earned and redeemed is itemized at the bottom of their receipts, and the credit carries over from month to month. A 2016 report by the U.S. Department of Agriculture revealed that food stamp recipients spend a smaller percentage of their grocery budgets on fruits and vegetables than other Americans do. Financial incentives like the ones being tested in California can help narrow that gap. A 2011 study of an incentive program in Massachusetts found that people on food stamps who got an extra 30 cents for every dollar they spent on fruits and vegetables consumed nearly a quarter-cup, or 26 percent, more fresh produce per day than recipients who did not get such an incentive. Last week, Más Fresco began to enroll a second round of up to 2,000 people who will receive the incentive for one year. 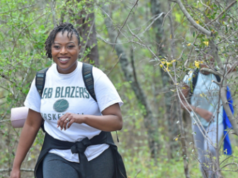 The current participants will continue in the program through June. 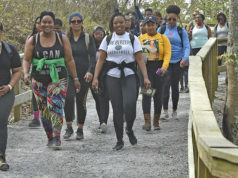 Prickitt said he hopes that even after their financial incentives end, participants will retain what they have learned about healthy eating and continue buying produce. Food policy experts note that many other factors can influence a family’s food choices, including lack of time. “If parents are working more than one job or children are in more than one school or activity, how do you teach the skills of how you can prepare food, even on a busy weeknight?” said Dean Sidelinger, a pediatrician and child health medical officer for San Diego County. Some advocates for healthful diets have argued that government should not only encourage people to buy healthier food but also discourage unhealthful habits. A 2014 Health Affairs study by Stanford University researchers showed that banning the purchase of soda with food stamps would reduce rates of obesity and diabetes, while a credit of 30 cents on the dollar for buying fresh produce alone would not. In 2017, more than a dozen researchers from different universities urged SNAP to eliminate diet-related health disparities among programs for low-income people. They noted, for example, that the federal food-assistance program known as Women, Infants and Children, or WIC, excluded soda and candy but that people could still buy those products with food stamps. Rebeca Gonzalez, who moved to the U.S. at age 18, decided to overhaul her family’s eating habits after her husband, Javier Landeros, was diagnosed with diabetes two years ago. Instead of buying cookies, she now keeps chopped fruits and veggies in the fridge for snacks. 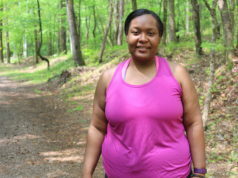 She said she wants to instill the same healthy habits her grandmother passed on to her.